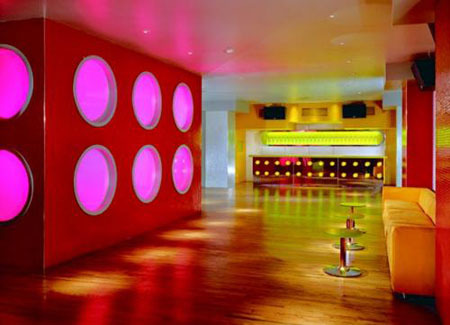 SOUND BAR is a truly unique treat for your eyes, all done in vivid reds and oranges, with a truly modern flair that no other River North bar has managed to capture. It's very European, and the music is distinctly American, with hip hop and techno beats pouring out of the largest and most powerful speakers that we've seen at any local bar. You've got to get in through the alley, so it's easy to miss this place, but worth the extra time to find it. Very spacious, and an impressive place to bring friends from out of town!